How Old Do You Have to Be to Work at REI? If you’re adventurous, love the outdoors and want to work for a different kind of retail company, one with a unique culture and shared values, then an REI career may be right for you. Founded in 1938, REI (Recreational Equipment, Inc.) sells gear and equipment for camping, hiking, climbing, kayaking and more. Everything they sell has a 100% satisfaction guarantee, which makes their members and customers extremely loyal. 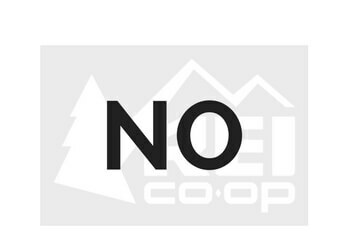 REI is a co-op, which means it’s owned collectively and its benefits and profits are shared by all its members. Members pay a $20 lifetime membership fee and get up to 10% back on eligible purchases through the annual dividend program. Its headquarters are in Kent, Washington. REI has been on Fortune’s list of the 100 Best Places to Work every year since the list started in 1998. Company culture prioritizes values such as authenticity, service, respect, integrity and balance. Among REI’s unique benefits, employees get YAY Days, a day off with pay every six months to spend outdoors. This employment guide will show you how to start your career with REI. You’ll learn about their unique benefits, available opportunities, and how to apply for an REI career. 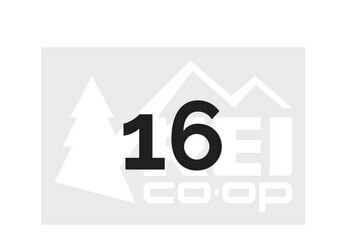 To find a job at REI, visit one of their over 150 stores or go to their careers website. A full listing of opportunities and applications is available at this page. Retail Sales Specialists provide customer service to members and guests while selling products, REI memberships and services. This entry-level position is perfect if you have some retail experience and are passionate about the outdoors and REI’s culture and values. You’ll need good communication skills, the ability to set goals and establish priorities and a commitment to collaborating with your team and across REI for the achievement of business goals. As you learn about REI products and services, you’ll help maintain your department’s cleanliness and move products to the sales floor. Retail Sales Specialists need to be able to work a flexible schedule including evenings and weekends. In return you’ll earn competitive pay and generous benefits. Sales Leads are considered the face of the company, interacting with members and customers every day and able to share a large store of knowledge on outdoor equipment and services. As Sales Lead, you’ll drive sales and execute promotional events. You’ll be the in-house expert on products and promote membership and other services to customers, and help Retail Specialists to do the same. You’ll prepare the store, stock merchandise, train new staff and assist managers with staffing and scheduling. Sales Leads should have previous retail and customer service experience, good communication skills and knowledge of outdoor activities. You’ll need to complete REI Sales and Service Training and Membership Training, and be available to work a flexible schedule including evenings and weekends. Outdoor School Instructors help teach people about the basics of activities like rock climbing, kayaking, hiking, cycling, backpacking and more. You’ll lead REI Outdoor School programs and teach in-store educational classes. It will be important to be highly skilled in the technique and safety of your designated activity. You’ll also need to be a good leader, comfortable coaching large groups of people as well as giving individual feedback. Outdoor School Instructors should have three or more years of experience in outdoor education programs. Problem solving, organizational and planning skills are important, as is a commitment to customer service. You’ll also need certification in Wilderness First Aid and CPR, as well as any applicable certifications in your area of expertise. The OPO Market Coordinator is a unique position for someone who wants to play outside for a living, and inspire others to spend more time in the great outdoors. This is a growing area for REI so many opportunities are available. OPO Market Coordinators work to develop local outdoor programs in alignment with the national plan. You’ll also market these programs through social media, by building relationships with local organizations and clubs and by working with REI store teams to promote participation. You should have three or more years of experience with coordinating outdoor recreation and education, plus 3 years in event production as well as experience with business-related social media and budget management. Passion for the outdoors, identification with REI’s values and strong customer service skills are essential. Technical Specialists assemble bikes and snow sports equipment at REI stores. Your work needs to meet REI and vendor standards, while providing great customer service in the shop and on the retail floor. As a Technical Specialist, you’ll be a builder and a safety expert. You’ll have responsibility for assembly, repairs and maintenance of bikes and snow gear, and will make sure customers’ equipment is properly fitted and maintained. Previous experience is preferred, as is successful completion of any relevant certifications. You’ll need to be able to work a flexible schedule and lift up to 50 pounds without assistance. Retail Sales Managers manage the retail staff to reach sales, membership and service goals. Sales Managers successfully execute promotional events, and motivate members and customers through executing outdoor programs and outreach. Retail Sales Managers need three or more years of experience in retail management, dynamic leadership skills and strong communication. You’ll need to be proficient with retail financial metrics and visual merchandising and committed to customer service. Sales Managers report to Store Managers. Our research was unable to find openings or job descriptions for Store Manager positions. REI offers competitive pay, but it’s the benefits that make REI stand out. Eligible employees earn incentives and can participate in retirement and profit sharing. By working at least 20 hours a week, you’ll be eligible for the REI Flex Plan for healthcare. Everyone gets a 50% discount on REI Gear and Apparel, and other discounts. Paid time off, professional development, public transit subsidies and relocation assistance are among other benefits. More salary information can be found on Glassdoor.com. According to our research, REI does not drug test. However, the REI employee code of conduct indicates that REI is a drug- and alcohol-free workplace and employees must follow those rules as outlined in the employee handbook. Use of alcohol and drugs (any controlled substance, illicit drug or improperly used prescription medication) is forbidden on company property or when traveling on behalf of REI. If you are representing REI at a social event or meeting, you may not use alcohol or drugs to the point of impairment, and you may not report to work under the influence. Here are some typical interview questions that have been reported by REI job candidates. Some candidates report interviewing in a group setting, so be prepared for that possibility. Why do you want to work for REI? It’s very important to understand REI’s culture and commitment to the outdoors and environmental issues. Take time to read more about the company on their website, and be prepared to talk about how you like to spend time being active outside. Remember that typical REI customers are very interested in outdoor activities, so your knowledge and experience in this area is important to providing a good customer experience. Be able to answer questions and go the extra mile to help the customer get exactly what they need. How would you sell this backpack/tent/hiking boots? Find out what features in the product the customer is looking for, and tell how the item you’re trying to sell matches those features. What sets this item apart? How does the cost compare to similar items? What about the quality? Does this purchase qualify for member dividends? Remember to express how your values align with the REI culture and how you want to be a part of REI’s mission. Dress neatly and present yourself professionally. Be on time for your interview. Be prepared to write down details of your employment history (dates, locations, references, etc.). Make sure you offer a phone number where the hiring manager can easily reach you if they have more questions or want to make you an offer. Good luck!